If you’re ready for something new in your stationery, the right dot grid notebook can truly enhance your creativity and organization skills. This relatively new page ruling has become an instant classic that people swear by. This list will help you find the right one for you. 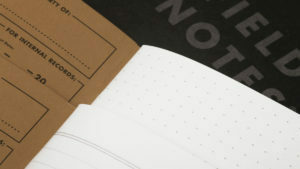 What makes dot grid notebooks so popular? Firstly, it’s an alternative to an ordinary grid, ruled, or plain paper. The pages in a dot grid notebook have many small, unimposing dots forming rows and often very faintly marked. This creates a suggestion of a pattern and gives you, as the writer, a lot of freedom. You get to choose whether to use it as plain, squared, or ruled paper. There are many convincing reasons to switch to this type of paper, including hand lettering and handwriting practice and a more suitable surface for creating technical sketches. Dot grid also gives writers and artists a slight structure to their art without constraining them with solid lines. Once you switch to dot grid, you may find that you never go back.